Update: Nokia has just tweeted a teaser for the event, outing the date as October 22. There's also a picture of what looks like some Abu Dhabi sand dunes. Could be an interesting location for a Nokia event to take place. 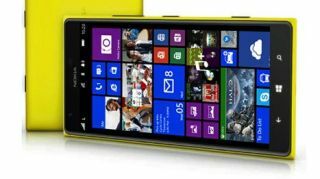 Until now we were expecting to be treated to Nokia's rumoured phablet handset, the Lumia 1520, on September 26. Sorry folks, but it looks like that's just changed. The suspected 6-inch device is now scheduled for around mid-October, according to sources speaking to The Verge. The event was originally set to take place in New York but apparently the location may have also changed, though we're not told where to. Of course this may well have something to do with Microsoft's recent massive buyout of Nokia's handset business. We've told that the Lumia device will be the first Windows Phone device with a full HD display, and expected to arrive in red, yellow, black and white. It might not be the only device on the Nokia horizon either, with its first tablet - codenamed Sirius - said to be about to break cover. Can Nokia combine the best of both smartphone and camera worlds in the Nokia Lumia 1020?